One shot… One glass… What does it matter, right? WRONG. 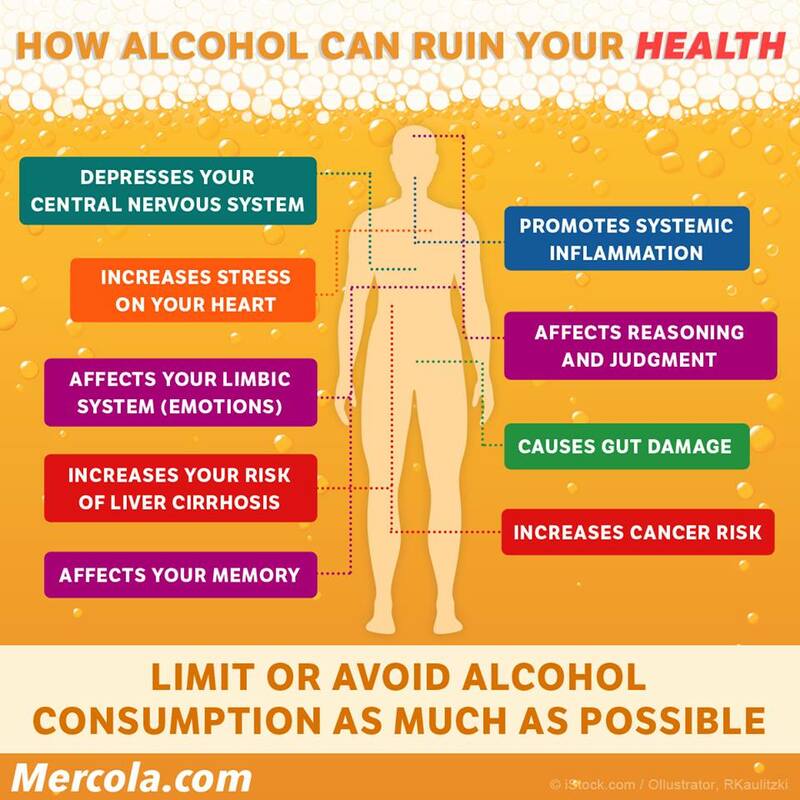 Even just one shot or glass of any alcoholic beverage can affect your organs and your health. A study that examined the effects of music therapy on those with Huntington’s disease was conducted by researchers at theUniversity of Rochester in 2005 and involved the use of group singing, drumming, and music assisted relaxation. 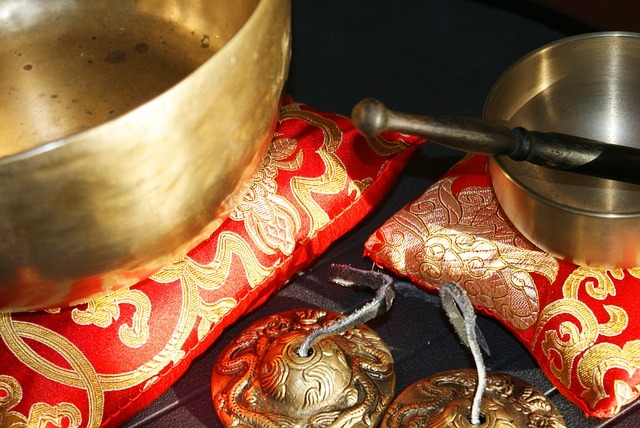 All of the 5 subjects who participated in the trial responded well to the use of sound therapy, and further trials are being organized to test the therapy on a wider range of subjects. The almost endless list of health benefits from meditation are becoming more and more crystallized into scientific fact as study after study is showing how every aspect of being a human is improved and benefited by spending even just 15-20 minutes per day meditating. These health benefits include the immune system, stress and anxiety levels, memory and alertness, happiness and satisfaction, pain levels, creativity, and numerous other benefits. Science also reveals that when meditation is taken a step further in the physical biological body through motion, it can not only offer these potent benefits, but can also really catalyze healing and health in the physical body itself. Tai Chi is branch of the ancient Chinese Qi Gong practice. Chi refers to the life force energy itself and through series of gentle movements paired with mindfulness, Tai Chi regulates the flow of chi in the individual and helps to balance the Yin and Yang principles within a person. In clinical research, Tai Chi has been shown to lead to improvements in the quality of life for those suffering from breast cancer and Parkinson’s. It is also showing promise for reducing high blood pressure. One study done recently revealed that tai chi improved balance, flexibility, cardiovascular health, and also strength. The study was conducted by monitoring a group of participants who practiced tai chi and those who did improved over 30 percent in lower body strength and 25 percent in arm strength- this was almost as much as the strength improvements in the weight-lifting group; pretty impressive for movements that seem so gentle and serene. Similarly, mindfulness meditation has captured the interest of many researchers in recent years, bringing new information and scientific validation to an art that has been valued for ages. Studies clearly show a reduction in the experience of pain in subjects practicing mindfulness meditation. This type of meditation is shown to alter the physiological state, reducing awareness of pain and increasing awareness in other areas such as alertness and problem solving. Dr. Mercola says, “If you’re looking for a gentle, mind-body activity to add to your fitness routine, tai chi is a phenomenal choice. A form of Chinese martial arts, tai chi is an ancient form of self-defense that is said to support the balance of “yin and yang” in your body, thereby improving the flow of “qi,” or life energy. Often described as “meditation in motion” or “moving meditation,” the activity takes your body through a specific set of graceful movements. Your body is constantly in motion and each movement flows right into the next. One of the most appealing benefits of Tai Chi is in its gentleness and accessibility for practitioners across all age and social groups. Tai Chi is equally appropriate for children, elders, and everyone in between. Tai Chi can even be adapted for persons in a wheelchair. The ancient practice improves balance, stamina, coordination, flexibility, and as mentioned previously, strength and cardiovascular health. We know that mindfulness meditation as well as other forms of what could be called classical meditation are powerful practices that can cultivate peace, health, and overall well-being in the lives of those who practice them. Likewise, practitioners of tai chi will benefit their minds, bodies, and naturally their spirits as well. Dadirri is a state of calmness one achieves by letting their mind realize their connectedness and dependence on nature itself, hence being a part of nature. Modern man has become accustomed to the idea that we are, somehow, separate from the world around us, and we have lost the ability to stand and gaze with it, as an integrated part of it. We have become engrossed in a world engineered in our own image, or even worse, in an image which we, ourselves, do not understand in our delve to increase our freedom through technology and engineered artifacts — all “for the sake of” better understanding or reading the Book Of Nature. As a result, we have completely forgotten to listen to what the scribe of the book of nature itself had to say to us, through all these centuries. The scribe is Nature itself — ancient and patient, before whom all of human life has been but a fleeting glimpse in the vastness of the universe. And we have ignored it, and became cut off from the source of all healing. We have never looked back and so, over the years, humans have slowly become ill. This illness has exhibited itself in many forms — ranging from physical sickness due to stress and longing for balance, to mental illness and existential crisis questioning the purpose of our existence. Eco-psychologists are now speaking to us of this severed link with nature, and its dire consequences. He does not, however, speak of how we should regain this balance and, once again, experience the healing power of nature. Fortunately for us, aborigines, the survivors in the fringes of modern society, have been passing on a treasure of information on how to regain this balance. Dadirri is deep listening — a respectful silence where you allow yourself to become part of the environment around you, instead of being someone aloof and isolated from it. This listening is not directed at something, it’s a journey, an awareness where you simply waiting to become attuned with nature. Because when you do, nature speaks in innumerable ways— in silence, in hushed tones, in rising intonations of the winds, the chirping of the birds, the crackling of the leaves, the movement of the living things, the heat from the sun, the light from the moon, the many colors reflected from all things material in nature and shed upon us… and even more. Dadirri speaks to us about what we routinely miss — an interaction with the world around us. It is a world that has been there long before us, generations past us, and one that does not need us. It is more than a practice. It is a state of calmness one achieves by letting their mind realize their connectedness, and dependence on nature itself, and hence being a part of it for a few moments. I use “being” instead of “seeing” yourself as part of nature because Dadirri is also a realization of the age old truth: humans have always been part of nature. Hence, Dadirri is the practice of deep listening to the natural environment around you, cherishing its timeless existence. Reserve a space in a natural environment (park, garden, backyard, etc.) where you will not be disturbed for 5-10 minutes each day. Take calm deep breaths, becoming slowly aware of the surrounding without focusing on anything. After the first few breaths, become aware of yourself in the environment. Feel the weight of the body and the points of contact where it is touching the ground. Slowly scan yourself from head to toe and gain a general mood of your body (tense, relaxed, happy, etc). Avoid letting your thought linger on it (if it does, calmly bringing it back to experiencing the mood). Now allow your mind to catch focus on something specific in nature, like a flower, a bird, the sky, the sunlight, or a blade of grass. You can even focus on the sounds of nature, like the whisper of the wind, leaves rustling , a bird’s song etc. Do not try, or think, nor guide your mind to become aware of something. Now be still and silent, and aware. Dadirri will allow you to experience and appreciate nature and, in the process, sooth your worries, allowing you to reflect on the current state of your body — its health, its troubles, and hence allow you to gain clarity about yourself and your purpose. Turmeric is a super root. It is packed full of antioxidants, has anti-inflammatory properties, is great for brain health, lowers risk of heart disease, and has been found to increase happiness. Manipura is the third of the seven chakras – i:e: at the navel center and relates to power, action, willpower, self-esteem, vitality and ego. It governs the digestive system. The manipura chakra is also known as the solar plexus. To me this has such a rich texture of meaning and it seems not by coincidence that the golden yellow, ten-petaled lotus center is also called “solar” plexus. One’s mood and general behaviour is a good indicator of the strength of the solar plexus and the digestive system. The reverse is also true leaving mind and body inextricably connected. This realisation brought me to a new understanding of the adage “you are what you eat”. Diet is everything and eating to keep the gut healthy, replacing micro-flora on a regular basis is an essential aspect of feeling well. The gut is then, a second brain of sorts and it is no mistaking that we do think with our guts – I guess we can all relate to a “gut feeling” or “a sinking feeling in the pit of the stomach”. Sounds absurd? I honestly believe in eating in tune with the body – that is, by treating the body like an intelligent entity that will always tell you what it wants or doesn’t want. A healthy gut sends messages to the brain, and in spiritual terms, we might say, it sends messages to the higher self. Messages are sent to and fro between brain and guts and in the reverse order too. Sounds absurd? I honestly believe in eating in tune with the body – that is by treating the body like an intelligent entity that will always tell you what it wants or doesn’t want. A healthy gut sends messages to the brain, and in spiritual terms, we might say, it sends messages to the higher self. Messages are sent to and fro between brain and guts and in the reverse order too. A sagging self-esteem, or depression, absent mindedness or anger-driven communication could indicate that the power center needs fixing. A healthy gut then is a sign of overall health and well-being. Science has established that there is a definitive link between the brain and the gut, which is why the gut has been rightly named “the second brain”. Expressions such as “butterflies in my stomach” and “gut wrenching” are actually saying more than what we read on the surface. Whether one’s tummy is in knots over a speech or one lacks the guts to undertake something, the fact remains: We think and feel with our guts as much as we do with our brains. Isn’t it logical, then, that a strong and healthy gut will spawn a healthy body and strong mind? Research suggests that the gut micro-flora lining the intestines are much more than just “good” or “bad” bacteria, and that their most important function is to regulate the body’s immune response, especially when faced with stress. This is a two-way street: Psychology and psycho-social factors influence the physiological functioning of the gut, and a healthy strong gut can help one stay mentally agile and fit. A recent scientific study in Nutrition in Clinical Practice shows that the micro-organism or gut flora living in the human intestines form a network of natural controls that regulate mood, appetite, body weight, nutrient absorption, stress and immune response. No surprise then that the human digestive tract is home to 70 percent of the immune system. Simply put, our every-day food can help or harm our mind-body health. Another example that proves the brain-gut connection is when we think of food and the appetite is stimulated. Similarly, a gut in distress can cause stress and mental depression. Nearly every brain-controlling chemical is generated in the gut, including hormones and neurotransmitters such as serotonin, dopamine, glutamate, GABA and nor epinephrine. The gut is home to 100 million neurons – more than what the spinal cord has. It also contains 24 minor brain proteins, major cells that regulate immune function, one of the body’s in-built opiates, and native bensodizipine. Recently there has been one more addition to the nervous system: The gut, also known as the enteric nervous system. It is ensconced inside sheaths of tissue found in the lining of the oesophagus, stomach, small intestine and colon. It is known to have an important function in regulating our emotions. Isn’t it obvious why symptoms from the two brains are often the source of confusion? So the next time you find yourself wondering what to cook for dinner, spare a thought for the millions of microscopic bugs for whom your gut is home and look into yogic practices that stimulate and calm (by turns) the yellow lotus behind the navel. These words registered later, when I was writing down my recollections. But neither of these words do justice to the beings themselves, which were quite simply different from anything I have known on this planet. They were more advanced. Higher forms. Dr. Eben Alexander has been a neurosurgeon for the past 25 years. His book, Proof of Heaven: A Neurosurgeon’s Journey into the Afterlife, will be published by Simon & Schuster on Oct. 23, 2012. We all know exercise is good for us. But did you know that exercise does amazing things for your brain? Recent research reveals that exercise is more important to brain health than scientists ever imagined. For example, most of us were taught that we can’t grow new brain cells. Even worse, we tend to believe we’re losing them all the time. But recent studies prove the opposite. We can generate new brain cells through a process called Neurogenesis. And, the creation of new brain cells can continue through our later years. Neurogenesis seems to be directly tied to one factor – aerobic exercise. But here’s the catch, if you suffer from depression or poor brain health, you just don’t FEEL like exercising, right? Well I have good news for you. Even small amounts of moderate exercise can promote brain health. 10 minutes during the day, 2 or 3 times per day. That’s it! And those 10 minutes can be walking your dog, mowing the lawn, raking leaves, playing with your children, or doing the laundry. So, don’t worry about joining a gym or mapping out a 45-minute workout plan. Just start by doing SOMETHING. Your brain will thank you! Dr. Ralph Moss Ph.D relates that “Conventional Cancer therapy is so toxic and dehumanizing that I fear it more than I fear death from cancer. Yet most alternative therapies regardless of potential or proven benefit, are outlawed, which forces patients to submit to the failures that we know don’t work because there is no other choice. Dr. Moss was employed as a science writer for Memorial Sloan Kettering Cancer Center in New York. Chemotherapy drugs are cellular poisons so they are quite toxic. They are also quite expensive. In his book The Cancer Industry he documents how the close links between the pharmaceutical industry and the cancer establishment enables an inadequate therapy like chemotherapy to become promoted and established as standard care”. Dr. William Campbell Douglass II, MD “To understand the utter hypocrisy of chemotherapy, consider the following: The McGill Cancer Center in Canada, one of the largest and most prestigious cancer treatment centers in the world, did a study of oncologists to determine how they would respond to a diagnosis of cancer. On the confidential questionnaire, 58 out of 64 doctors said that all chemotherapy programs were unacceptable to them and their family. In my opinion one of the most important verses in the Bible is Proverbs 14:12 There is way that seems right unto man but its end is the way of death. Drug company owners and executives, politicians, world leaders and media executives have unbelievable wealth and power in this world. However, they face a tortured eternity following death. This seems to be a very unwise tradeoff. Dr. James A. Howenstine is a board certified specialist in internal medicine. The Second Edition of his book A Physicians Guide To Natural Health Products That Work is available. Dr. Howenstine can be reached by phoning 001-506-2262-7504. If you’re like over half the adult population in the United States, you drink coffee everyday. By the end of the year, you will have consumed over 10 pounds of the stuff. At over 400 billion cups consumed per year, coffee is the most popular drink in the world. The U.S. imports over $4 billion in coffee each year, and Americans drink 400 million cups per day. Why has a substance which places an enormous metabolic burden on your body and offers no nutritional value at all — no vitamins, no minerals, no enzymes — become so widely used throughout the world? What’s so Great About Coffee, Anyway? Many coffee drinkers enjoy the taste. And for those who don’t, there are countless addi­tives to mask the flavor — like sweeteners, milk, and chocolate syrup to name just a few. The list of coffee “enhancers” is limited only by your imagination. The other major reason people drink coffee is for a caffeine boost. Many people swear they can’t get going in the morning without a cup of coffee — or several. They feel physically tired and mentally foggy without their morning brew. Most regular coffee drinkers argue their habit isn’t doing them any harm. In fact, they’ll point to reports touting the health benefits of coffee, citing studies that claim regular consumption reduces the risk for heart disease and diabetes, for example. The problem, though, is while coffee’s effect on humans has been extensively re­searched for decades, there is still a great deal of controversy about what it really does to your health. The results of coffee studies often conflict, which is why you might read an article this week which completely contradicts the advice given in a report you read a month ago. A study conducted in 2004, for example, indicated drinking coffee may negatively affect your short-term word recall. Not long after, a report was published which pointed to evi­dence that a couple cups of coffee per day could improve your short-term memory. This is but one example of many which points to the conflicting information regularly published about the effects of coffee on your body. Researchers can’t seem to pinpoint exactly how coffee acts to allegedly reduce the risk of certain diseases, but they suspect it has something to do with the anti-inflammatory properties of the antioxidants in coffee. The simple fact that remains however is that, coffee is not good for you and it’s not a health food, as some published re­ports would have you believe. There are much better, less risky ways to achieve any professed benefits of coffee consumption. Don’t use pro-coffee reports or propaganda as an excuse to hang onto your coffee habit! Among the typical health claims about coffee is it decreases the risk of developing cer­tain cancers and diabetes. However, it increases your risk for stomach cancer and leu­kemia. Just like with most drugs, there are perceived benefits — and then there are the side effects which often render the “cure” worse than the disease. Coffee interferes with your body’s ability to use folate, and vitamins B12 and B6. Your body needs these nutrients in order to keep your homocysteine level in the healthy range. Elevated homocysteine levels are associated with a wide range of serious, even life-threatening conditions. Chances are the coffee you drink is made from beans grown outside this country. Coffee beans are known to be a heavily sprayed crop, and the U.S. has limited input and control over the type and quantity of pesticides used in the countries from which we import. Aside from the damage coffee alone can do, pesticides are contributors to a wide range of health problems, including prostate and other cancers, Parkinson’s disease, and even miscarriages. Coffee stimulates your adrenals — the hormones that activate your fight or flight re­sponse. If your adrenal hormones are stimulated too often, which is bound to happen if you are a daily coffee drinker, your adrenal glands may eventually burn out. When your adrenals no longer function effectively, your body will go in search of a re­placement hormone — which happens to be progesterone. Progesterone has its own full-time job to do, part of which is to keep your body’s estro­gen in balance. As your progesterone is used up compensating for your exhausted ad­renals, you run the risk of becoming estrogen dominant. Estrogen dominance can lead to osteoporosis. Coffee also raises the acidity level of your blood, causing calcium to be pulled from your bones and teeth for use as a buffering agent. The combination of estrogen dominance and high blood acidity puts you at an even greater risk for osteoporosis. In fact, research has established an undeniable link between coffee consumption and hip fractures. A Pick Me Up? Don’t Kid Yourself! Fatigue is the number one daily complaint among Americans. Are you using coffee to combat feelings of tiredness and low energy? Caffeine is a strong stimulant and will deliver a temporary jolt, which may feel like a burst of energy to you. But the truth is, coffee only gives you the illusion of energy and not the real thing. Over the long-term coffee actually depletes your B vitamin supply, and lack of B vitamins depletes your energy. If you struggle with fatigue and low energy on a daily basis, your body is telling you it’s time to assess your health and lifestyle choices. Drinking coffee is not the answer to chronic feelings of weariness and lack of energy. My firm position is that caffeine is a very powerful drug and should be avoided or strictly lim­ited. If you happen to be a protein Nutritional Type™, you are likely extra sensitive to caf­feine. I recommend you consume it only in small quantities, if at all, and never in the late afternoon or evening, as it may interfere with your ability to sleep. Pregnant women should avoid caffeine entirely, and if you’re a coffee drinker who is planning a pregnancy, you’ll want to quit the habit before you conceive. It’s important to realize that any caffeine you ingest passes easily through the placenta to your unborn child. It is also transferred through breast milk, and stays in your body — and the body of your un­born child or infant — longer than average. Your unborn baby has no ability to detoxify the caffeine he or she is exposed to. As my regular readers know, my first recommendation for a healthy beverage is always pure water. It is by far the best choice you can make. But if you’re looking to kick your coffee habit to improve your health, a cup of high-qual­ity green tea can be a great alternative as a warm, soothing morning beverage. Most types of tea have some health benefits. However, black tea not only contains more caffeine than green tea — it’s also high in fluoride. Fluoride is a toxic substance (more toxic than lead) and can have a profoundly negative effect on your health. It has been linked to weakened bones, osteoporosis, and even cancer. Consuming high levels of fluoride can result in a condition called skeletal fluorosis. Symptoms may include bone pain, calcified ligaments, bone spurs, fused vertebrae, and difficulty moving your joints. Since Americans are exposed to fluoride in water, certain toothpastes, coated cookware, some wines and brands of sparkling mineral water, and several other sources, it’s important to avoid more of this poison in your tea. Lesser brands of green tea can also contain fluoride and other dangerous substances like lead and aluminum, so you must do your research before settling on a particular brand of tea. I’ll discuss how to select a high-quality tea a little later. Polyphenols are recognized for their disease prevention and anti-aging properties, and can account for up to 30 percent of the dry leaf weight of green tea. EGCG, in particular, boasts an impressive list of illnesses and conditions it has the po­tential to positively impact. The powerful antioxidant properties of EGCG can also help your body fight a number of debilitating conditions like AIDS, Alzheimer’s, autoimmune diseases, and cancer. In fact, based on encouraging study results, scientists are hopeful they will be able to con­duct further research on green tea’s protective powers in relation to other autoimmune diseases, including lupus and rheumatoid arthritis. Research indicates the polyphenols found in green tea may help fight prostate cancer. Green tea polyphenols act on molecular pathways to shut down the production and spread of tumor cells. They also discourage the growth of the blood vessels which feed the tumors. These prostate cancer study results show potential for green tea to help fight breast, lung and colon cancer as well. Promising study results also show EGCG health benefits in the prevention of arterio­sclerosis, cerebral thrombus, heart attack and stroke. Greek researchers have discov­ered green tea may help prevent heart disease, due to its ability to improve blood flow and promote relaxation of your arteries. A number of studies show EGCG has a regulatory effect on fat metabolism. It has been shown to improve exercise performance, increase fat oxidation and prevent obesity. There is also evidence EGCG may help neutralize toxins in your body formed by high-fructose corn syrup (HFCS), which can help to reduce the association between HFCS and diabetes. EGCG may also protect fatty transplanted livers from ischemia (poor blood flow). Twenty percent of Americans have fatty livers as a result of the growing epidemic of obesity. Randomized controlled trial results published last year show green tea extract had a positive effect on glucose levels. Daily dosing with a powder supplement improved the hemoglobin A1C levels in borderline diabetics. Researchers have also discovered green tea has the potential to enhance the function of your brain. EGCG appears to decrease the production of the protein beta-amyloid, which can over accumulate in your brain, resulting in nerve damage and memory loss over time — a condition related to Alzheimer’s disease. When researchers injected pure EGCG into mice genetically programmed to develop Alz­heimer’s, results showed a decrease of as much as 54 percent in the plaque which clogs the brains of Alzheimer sufferers. This is a promising finding that demonstrates the potential for EGCG as a weapon against the growing scourge of Alzheimer’s dis­ease. Given the healthful properties of green tea, I’m comfortable this is a drink you can con­sume in moderation — especially as an alternative to coffee. Keep in mind, though, pure water is what your body was designed to drink. You don’t want to get too far away from this basic health principle. Stick to clean spring water and filtered water. I do not recommend either tap or distilled water, and it’s im­portant to avoid fluoridated water as well. Next to pure water, I believe a high-quality green tea is a nutritious choice. A cup of green tea supplies about 20-35 mcg of EGCG. Much of the research done on the health benefits of green tea has been measured at three cups per day, so that’s a good num­ber to keep in mind. If you enjoy green tea — especially if you’re looking for a healthy substitute for your cof­fee habit – add a few cups to your day. Make sure not to counter the benefits derived from your tea by adding sugar, milk, or other “embellishments.” Drink your green tea straight. Many green teas have been oxidized, which takes away much of the health benefits de­rived from drinking them. If your green tea is brown, it has likely been oxidized. What you want is green tea that’s actually green in color. Ideally, you want green tea which contains the entire ground tea leaf. Matcha tea is what I prefer. It is of such high quality it can contain over 100 times the EGCG found in regular brewed green tea! Matcha tea is a vibrant bright green color. It is of much higher quality than most other green teas, and you can be assured you’re not consuming fluoride or other toxic sub­stances found in lesser quality teas. Unlike other teas which you steep and strain, matcha tea is a powder made from ground green tea leaves. You add the powder right into the water. You are consuming the whole leaf, which makes matcha tea one of the healthiest green teas available. My personal choice, Royal Matcha Green Tea, comes from Japan, is USDA certified organic, and is a premium green tea of the very highest quality. The Tulsi herb is the principle herb of Ayurveda, the holistic system of health practiced in India. Tulsi is full of antioxidants, which are nutrients that fight the free radicals in your body and prevent oxidation damage. Cells damaged through oxidation leave the door open for disease to invade your body. Research shows antioxidants help your body resist heart disease, Alzheimer’s, Parkin­son’s, cancer, and even the aging process. 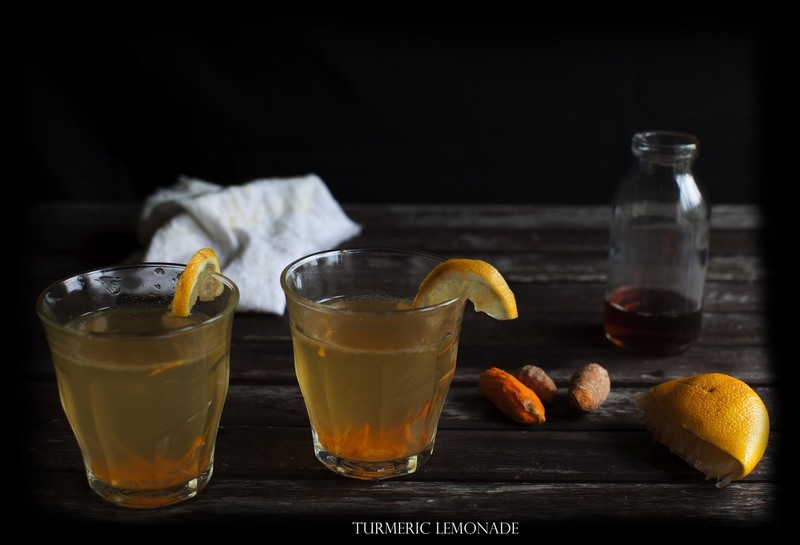 Tulsi tea has a naturally delicious taste — slightly sweet and a bit spicy. You can add a natural sweetener like raw honey or Stevia, and raw milk as desired. You can also drink it iced with a touch of mint. A study published in 2008 in the American Journal of Clinical Nutrition reports the caf­feine in tea contains a natural protein, theanine, which actually counteracts unhealthy side effects. If you are avoiding tea because of the caffeine, you should know caffeine is much less dangerous to your health than fruit juice or soda, and in small quantities — especially the kind found in tea — should not be reason for concern. There is one exception: if you’re pregnant or breastfeeding you should avoid ALL caffeine, including in tea. The numerous and glowing reports of the health benefits of green tea have unfortu­nately created a market for green tea “energy drinks,” which are being promoted as “natural” weight loss products. The idea that a product created in a laboratory using a mixture of chemicals, sweeten­ers, and caffeine is “natural” or healthy is simply ridiculous. Tossing in some green tea doesn’t make it any less so. If you want to drink green tea for its health benefits, stick to the real thing. If you want to lose weight, do it safely by optimizing your diet, exercising regularly, and getting good quality sleep. Going “cold turkey” isn’t always a good idea, especially if you’re a heavy coffee drinker or are especially sensitive to caffeine. As with most drugs, eliminating caffeine from your system can cause uncomfortable withdrawal symptoms. In order to alleviate withdrawal symptoms, you should consider tapering off your coffee habit — especially if you drink several cups per day. Make sure to follow the nutrition plan for your particular type, get adequate high-quality sleep and exercise to increase your energy level naturally. Consider using the Meridian Tapping Technique (MTT) to help with your caffeine ad­diction and withdrawal symptoms. Remember to substitute a high-quality green tea when you want a warm, soothing drink. You might also try replacing your morning coffee with vegetable juice for an energy boost. Do not make the mistake of substituting fruit juice or soda for coffee, as they are much worse for you. Remember — pure water should be your primary beverage of choice, followed by healthful drinks like green tea and vegetable juice, in moderation. Keep this in mind — coffee adds zero nutritional value, and the risks it presents to your health make it a very bad choice overall. This is especially true if you’re planning a fam­ily or are already pregnant or breastfeeding. If you use coffee as a crutch to get a quick burst of energy, remember that cultivating a healthy body and mind supplies all the power you need to get through your day. The jolt you receive from a cup of coffee is not only temporary, it’s also depleting your energy stores in the long term, and very likely wreaking havoc on your body in other ways as well. I hope I’ve given you plenty of incentive to quit your coffee addiction once and for all, and replace it with beverages that can improve your health and prevent disease. You’ll be pleasantly surprised, once you make the change to healthier beverages, how much better and genuinely energetic you feel. 49 mySQL queries in 0.488 seconds.